Bangladesh Cricket Board president Nazmul Hassan on Monday said that they would appoint a psychologist for the national team ahead of ICC Cricket World Cup and the players can go to him to get help to come of out of the trauma if they feel. Trauma-management of terror-struck Bangladesh cricket team remains at the top of Bangladesh Cricket Board priority list at present. Bangladesh team returned home a day after narrowly escaping Friday’s shooting in a New Zealand mosque and it was visible in the airport that they were shaken-up badly as none of them looked to be carrying the self-composure that they usually do. Since the arrival of the Bangladesh squad through a Singapore Airlines flight at the Hazrat Shah Jalal International Airport at 10:40pm on Saturday it was apparent that BCB decided to approach them very cautiously as the players need to move on from the dreadful incident in Christchurch where they survived a close shave. Watching the bloodshed in live, the players were in such traumatic state that they were not ready to stay at a single moment in New Zealand and BCB fortunately managed to get them the first available flight to bring them back at home, much to the relief of the players and their family. BCB president Nazmul Hassan immediately announced that players don’t need to concentrate on cricket at present and were asked to go back to their family and stay with them in order to regain their mental stability. 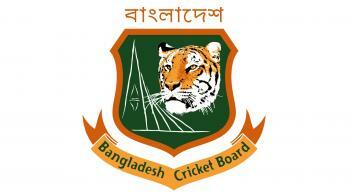 In order to give mental stability, BCB is thinking of appointing a psychologist. ”We are thinking in that line [appointing a psychologist],” Hasan said. Earlier opener Tamim Iqbal said that they might need counseling to get out from the ordeal after bloodshed they saw in live. ”We are keeping the players under their observation but it is not like that the psychologist will arrive due to trauma-management. We have the World Cup ahead and for which we will appoint the psychologist. So if they spend some time with a psychologist it is all the better,” Hassan said. ”If anyone needs help he can always take it from him,” he added.